Anyone played this game? I'm sure the 'Unchained' part was inspired by HERCULES UNCHAINED. but it just doesn't have the same ring to it. In the 80's I was very much into fantasy role-playing games, and gave this a shot too. I found that it wasn't as lively as the traditional Dungeons & Dragons, where you find magic and monsters around every turn of the path. Those things are not as common in R E Howard's Conan stories, and not in the films either. 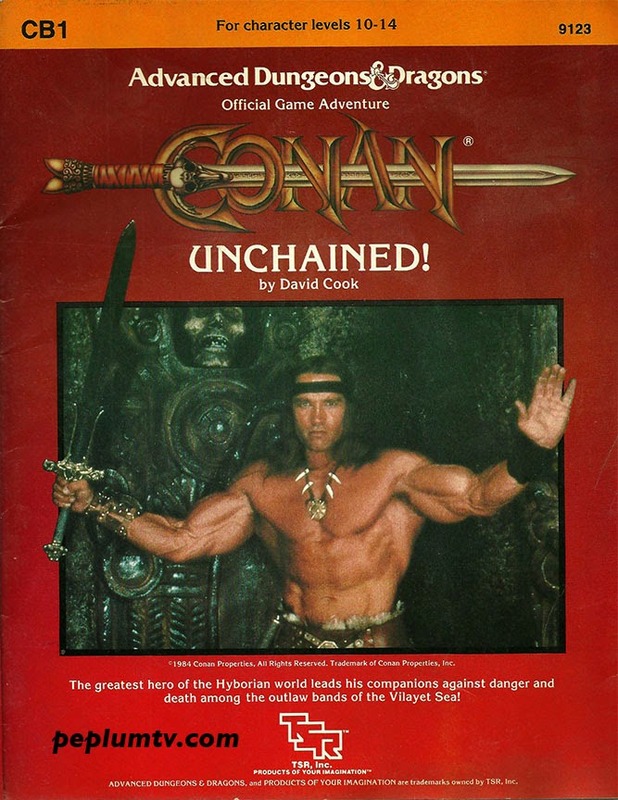 When Conan encounters a wizard or a monster he (and everyone else) is usually filled with awe or even terror, which this game tried to communicate to the players. Meeting a monster in a Conan story is almost akin to a monster appearing in a H P Lovecraft tale, which isn't surprising, as Lovecraft was a huge influence on Howard, as well as a penpal. This game actually adds a "Fear Factor" rule, resulting in loss of character points when you encounter a monster, adding a bit of virtual trauma to the game characters. In this aspect, the game makers actually got the style of the Conan universe quite well. It just wasn't very suited to fantasy gaming.